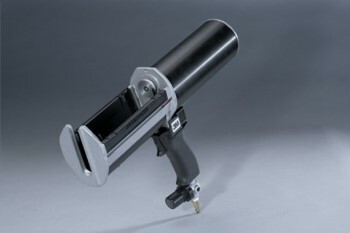 The 3M™ 8117 MixPac Applicator gun is designed for use with all 200 mL Automix products that require a applicator gun. Easy setup and simply to use. Can dispense 2-1 and 1-1 MixPac cartridges without changing the plunger. Easily dispenses urethanes and epoxies in 200 ml cartridges. 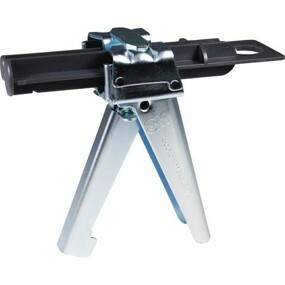 The Heavy Duty Construction will give years of use. 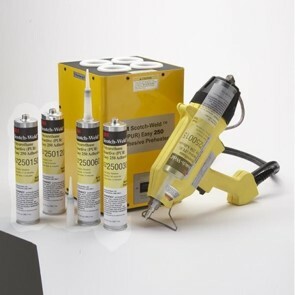 The 3M™ EPX 200,250,400 mL Manual Applicator is used to dispense 3M™ Scotch-Weld adhesives in duo-pak cartridges. 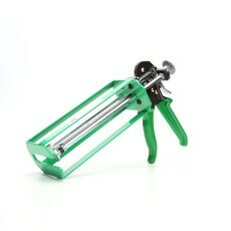 For use with both 1:1 and 2:1 for 200 mL and 400 mL cartridges and 10:1 for 250 mL cartridges. 3M™ Scotch-Weld EPX Manual Applicator makes dispensing an easy process with take-it-to-the-job convenience. 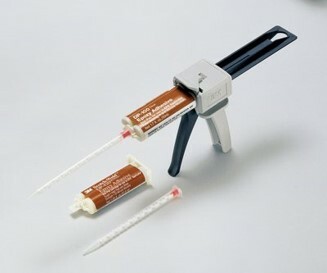 This manually powered applicator was created to dispense structural adhesives from two component Duo-Pak Cartridges. 490 mL. For epoxies, adhesives and other materials that are supplied in 400ml dual side-by-side 10:1 ratio cartridges with the use of a static mixing nozzle. The lightweight and durable construction of these dual guns make them well suited for many assembly operations in various markets such as aerospace, electronics, construction and automotive. 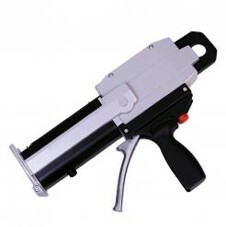 This is a lightweight hand trigger operated cartridge gun supplied ready to use with cartridge ratio’s. The DM Series guns are covered by a 1 year warranty and feature a very easy trigger action and light weight. 3M™ Scotch-Weld™ EPX™ Pneumatic Applicators are used to dispense two-component 3M™ Scotch-Weld™ Structural Adhesives packaged in Duo-Pak (DP) cartridges. There are a variety of pneumatic applicators available to match the needs of your manufacturing process. 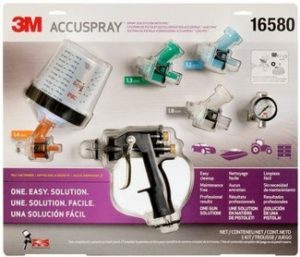 3M™ Scotch-Weld™ PUR Easy 250 Applicator is a self-contained pneumatic applicator designed to dispense cartridges of 3M™ PUR adhesives. These adhesives are applied warm and can bond a wide variety of substrates such as wood, fiber reinforced plastic (FRP) and many other plastics to themselves, to metal and to glass. 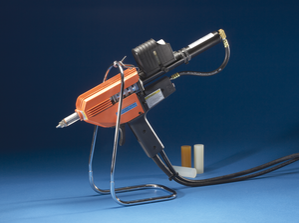 The 3M Polygun LT Glue Gun with Quadrack Converter is a low temperature light industrial applicator great for mid volume hot melt projects. The Polygun LT uses 5/8″ X 8″ glue sticks (Q LT) which is a special glue stick shape formulated by 3M™. 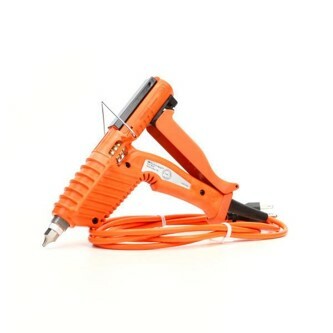 This glue gun can dispense 3.5 lbs of glue per hour and also comes in a standard temp version. As with all 3M™ products this glue gun was designed to perform. 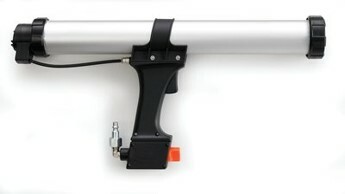 We like the palm trigger on the Quadrack glue guns by 3M™. However, we aren’t huge fans of the 5/8″ rigid glue stick it forces you to buy, but 3M™ has some very impressive hot melt formulas. Note: there are now some non-3M™ glue sticks available in the Q stick size. One of 3M™’s longest running and most successful hot melt glue guns, the3M™ Polygun PG II is a true industrial power house. The 3M™ PG II uses 1″ X 3″ glue sticks or “slugs” and has the ability to dispense up to 6lbs of hot melt per hour. The 3M™ PG II is available in both standard and low temperature versions depending on your application needs. There is a reason 3M™ has not had to make any major updates to the PG II glue gun for years, because it offers reliable, high volume performance. 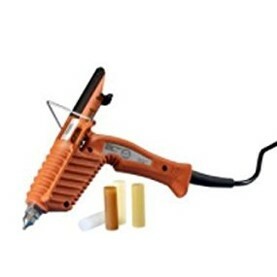 The PG II is a time tested glue gun capable of running all day with very minimal maintenance and upkeep. 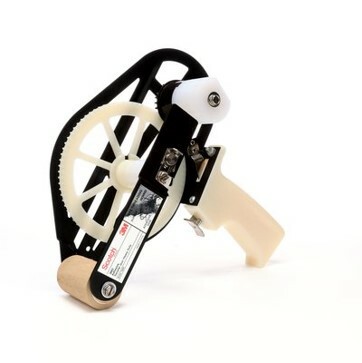 The PG II is one of the most reliable glue guns we carry but if you should need to perform maintenance, 3M™ has made getting and replacing spare parts very easy. 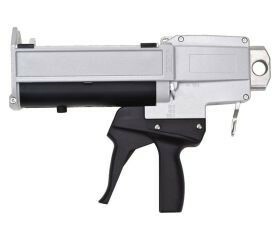 If you are looking for a high volume, reliable pneumatic glue gun, look no further than the 3M™ Polygun PG II. 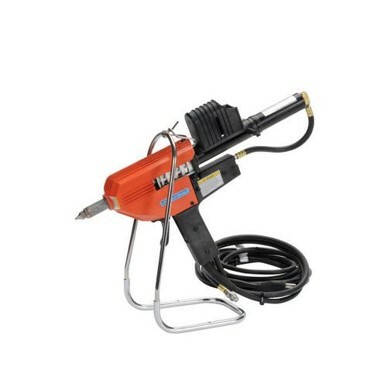 While it has a slightly higher price tag than some other pneumatic glue guns in its category, this tool is built to last and will pay for itself in maintenance free output for years to come. 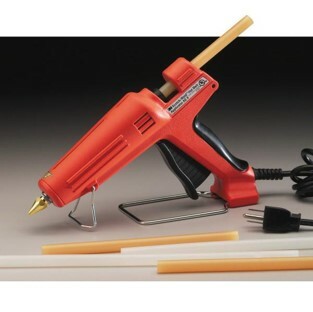 The 3M™ Polygun AE II Hot Melt Applicator is 3M™ corporations entry level glue gun. 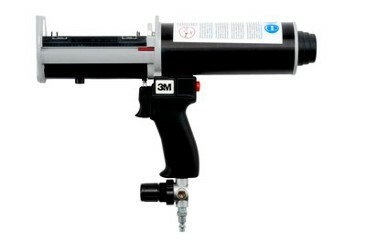 This 3M™ Polygun AE is a high temperature glue gun. 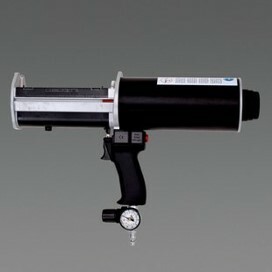 The AE hot melt gun delivers up to 3.5 lbs of adhesive per hour, perfect for small jobs and low volume applications. The Scotch-Weld AE takes, 3M™ AE hot melt sticks and 3M™ AE LT (Low Temp) hot melt sticks, depending on what version of gun you are operating. The Polygun AE II warms up in only 3 minutes! 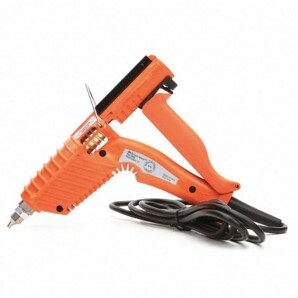 This glue gun was manufactured with a high impact resin and withstands daily industrial use. The Polygun AE also features a positive check valve nozzle that helps minimize dripping. The built in stand and anti-tip guard swing make it easy to set the Polygun AE down when it’s not in use. 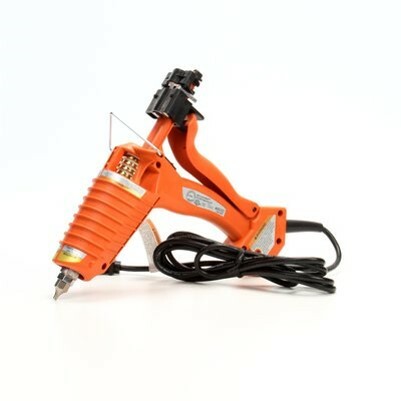 The 3M™ Polygun TC with Glue Gun with Quadrack Converter is a light industrial applicator great for mid volume projects. This 3M™ applicator also comes in a low temperature version. The Polygun TC with Quadrack uses 5/8″ X 8″ glue sticks (3M™ Q Size) and can dispense up to 3.5 lbs of hot melt adhesive per hour. The palm trigger, it’s so easy to use and doesn’t give the operator hand fatigue. 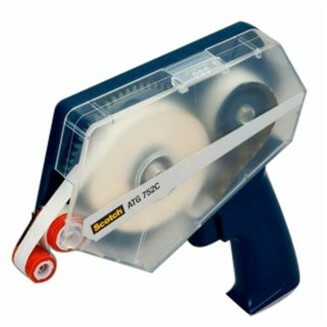 The Polygun TC with Quadrack operates extremely well, however, once you have this glue gun the only glue sticks you will be able to purchase are 3M™ size Q 5/8″ x 8″ that have ridges. 3M™ Hot Melt Applicators are designed to help improve productivity, lower costs and minimize waste in industrial applications. From high volume to detail work, 3M™ Hot Melt Applicators ensure optimum performance through melt-on-demand or progressive feed technology to meet your production deadlines. This is good for binding, adhering, joining, affixing, bonding, mounting, holding, attaching, temporary positioning, framing, matting, paper, photographic paper, crafts, and scrap booking. Also good for recouperage, paper converting, core starting, thin flexible materials and end tabbing. 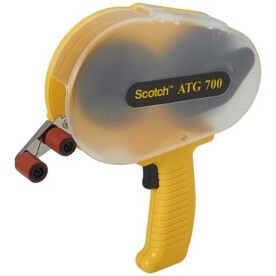 Scotch® ATG Adhesive Applicators apply adhesive transfer tape in a quick, easy, single handed operation. These lightweight applicators are ideal for use on small and medium assembly jobs as well as light and heavy duty industrial applications.